As many of my readers know, we live in the New Forest. We live in one of the most beautiful areas of the UK and we are lucky to have some lovely locations to visit on our door step. 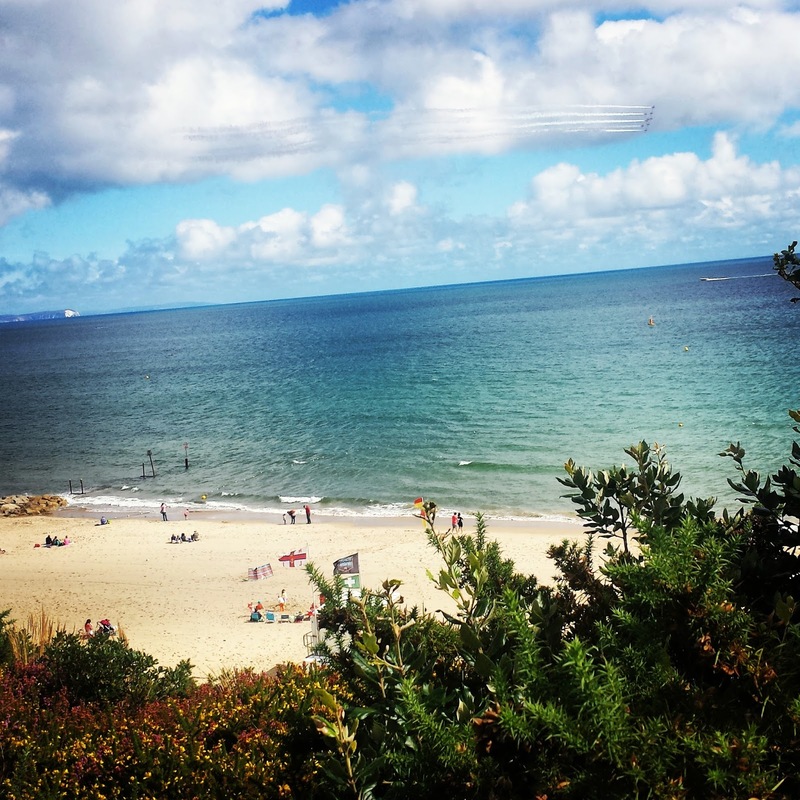 One of our favourite places to visit is Bournemouth. Bournemouth is not only a great tourist attraction, it has plenty to see and do. It is great for all ages and is perfect for families, couples and singles. There are plenty of tourist boards, plenty of places to eat and shop and some brilliant locations to visit. If you are thinking of visiting you are even able to book a hotel on the sea front with sea views! 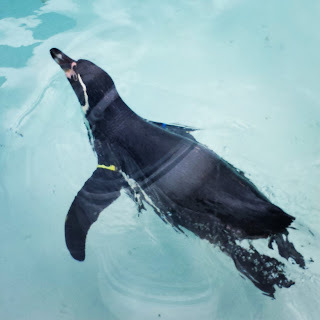 The Oceanarium: We visited here on Maxwell's Birthday and we had a wonderful experience. There is plenty of parking near by and the Oceanarium can be found on the waterfront. The Oceanarium has plenty to see and do. It is full of all different types of marine and most recently they have added penguins and jellyfish. Inside the Oceanarium you will find a lovely gift shop as well as a cafe which serve delicious food. If you are wanting to visit, you are now able to swap Tesco clubcard vouchers which means the ticket price is great value for money. We spent the whole day here when we visited and were impressed with the talks as well as the feeds. 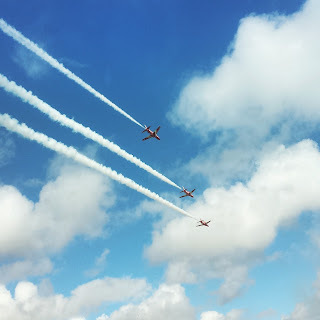 The Bournemouth Air Show: Every year we attend the Bournemouth Air Show. Although there is a small charge for parking if you choose to park in the park and ride or in a car park, the show itself is free to attend. There is plenty to see and do, you can stroll along the beach front and feel the sand between your toes or you can decide to watch the air displays in the air which feature amazing planes such as the red arrows, the typhoon and chinook helicopters. This is a great family day out and Maxwell has attended the show with us since he was a baby. There is plenty of places to visit along the sea front for a quick bite to eat but you are also able to bring your own picnic! Canford Cliffs: This is a lovely place just a short drive away from Bournmouth beach sea front. Canford Cliffs is easy to get to and has a small little car park which is fairly cheap to park in. Past the car park you are able to find Pinecliff play sculpture trail which is amazing for children to visit. You are able to find large wooden sculptures that are fun to play on. You are also able to find a play park which is based around a shipwreck. Once you have finished playing you are able to go on a lovely walk down to the beach below which is the beach of Branksome Chine. Bournemouth beach and pier: Bournemouth beach is a beautiful beach which hosts stunning views of the Isle of Wight and the Purbecks. The beach is made up of golden sand meaning it is perfect to take a lovely stroll on. There are plenty of restaurants and cafe's as well gardens for all to enjoy along the sea front. Bournemouth Pier offers a variety of attractions for the whole family. The attractions are fun and entertaining. Whilst you are here, why not seek fun and visit the Zip wire which see you make your way from the pier to the beach. There is plenty to see and do in Bournemouth. I've never been to Bournemouth before but it's on my list of places to visit. I love anywhere with a pier and beach. i've not been to bournemouth since i was little and omg this makes me want to go back. it looks amazing and with the right weather it would be perfect. Bournemouth is a lovely place at any time of the year. We love Bournemouth. I don't get there enough but have a good friend near by. There is so much to do and see in Bournemouth. I have never been to Bournemouth but it looks great. I am definitely going to have to add it to the list of places I want to take my daughter! Bournemouth looks like a really nice place. I definitely want to visit! The sea looks beautiful. I went to Bournemouth on a holiday as a child but I do remember loving the flat sandy beach and the wooded walkways - chines or chimes I think they were called. I'd love to take my two there. I used to holiday in Bournemouth every year as a child, I'll definitely have to take mine there too. 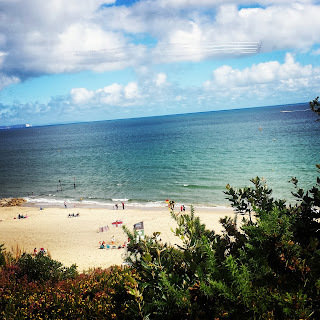 There are lots to do in and around Bournemouth for children. The beach is lovely Jessica. Bournemouth is a special town. Bournemouth is lovely and the New Forest is beautiful all year round. We don't live too far from Bournemouth but I hardly ever visit. My folks were at the Airshow in August and loved it. We really must make the effort! Sometimes you forget what a wonderful area we live in.